Today I’ve decided to take on a very sad topic among anime topics. You probably could not have guessed it, but yes, it is sad anime. And not only sad anime, but we will also be talking about the saddest anime of all the sad anime ever. Some will probably be a little bit less sad than the other ones, but I’m sure there will be something sad for all the crying enthusiasts. Get your tissues ready, and let’s hop right onto the list. Disclaimer: I am sure you will find some anime on this list to either be boring/bad. Therefore I would recommend skipping those and going on to try something else, one of the main reasons I am adding this many anime to the list is to make it easier for you to find a good anime for yourself. Everyone has different tastes so some anime you like others might hate and vice versa. Miracle Train starts off really boring, which makes it a bit sad in a different way than emotionally. However, if you are able to withstand the character introductions for about 6-8 episodes, then you will be alright. After the first slow 6 episodes, things really start getting more interesting in this anime. And you can clearly see for better how the characters relate to each other, their emotions, the difficulties they had to go through, and their pain. The anime portrays emotions really well which can make some people cry, so it deserves to be the last one on this sad anime list. Would definitely be higher if the initial 6 episodes were not slow and a bit boring. 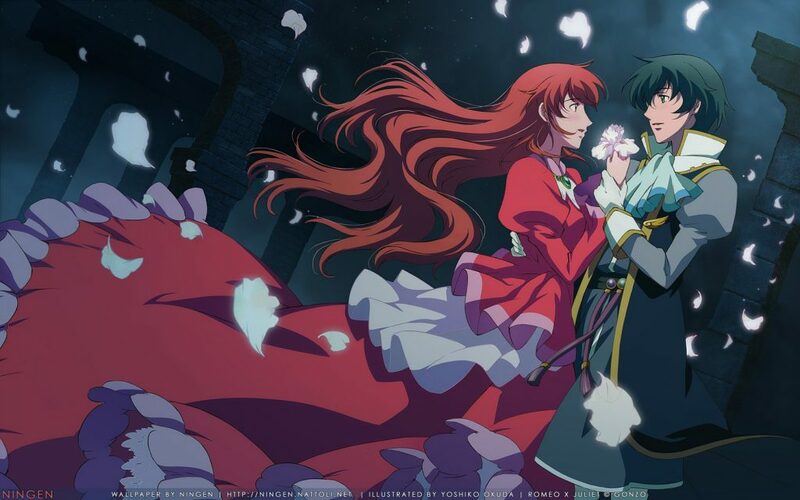 Hiiro no Kakera follows the story of Tamaki Kasuga who is one day told that she is a princess. And she is tasked with saving the world from ghosts. Overall, the anime focused a lot on dialogues, much more than we see in anime normally. This might be a deal breaker for the action-loving fans. However, those who love a bit of female fanservice (hot guys), will definitely enjoy the side perks of this sad anime. Alice Sakaguchi is having some weird dreams. She is dreaming about living on the moon. However, there is something different about these dreams than other ones. They seem much more realistic than other dreams. One day she finds out that some other classmates of hers are having the same dreams. Soon they realize that they are dreaming flashbacks of their past lives as scientists on the moon. So they decide to investigate this further on and gather all of the members of the scientist team. This sad anime shows us the struggles of destiny and the tragic personal struggles each character lives through. Takuma Hirose is a blind high school student. Although the case for his blindness is unknown, he is sent to a village to live with his uncle in order to heal his blindness (how?). Then, something magical happens and his blindness is suddenly cured. You would have expected this anime to focus on the blindness, but it didn’t. Instead, it focuses on the story where Takuma meets seven new girls in the village which is his new home and tries to help one of them. After that, a lot of events occur (which I can’t tell you because of spoilers). The sad anime has a lot of feels to it, which makes it really good to watch for anyone looking for that kind of a show. Yorito Morimiya loves taking pictures of the sunset, sunrises, and clouds in the sky. You could say that he is obsessed with it. One morning while going to take his pictures, Yorito sees a random girl arguing with the vending machine. He tries to help her by getting the juice out, but before he can hand it over to her, she disappears. After this encounter, Yorito’s life slowly starts changing. If you like a mix of drama, romance, slice-of-life, and mystery then this is definitely the sad anime you are looking for. Rumbling Hearts is a tragedic story about four friends and their love for each other. Takayuki Narum and his friend Shinji Taira start hanging out with Mitsuki Hayase and Haruka Suzumiya. Everything was fine until one day Haruka confessed her feelings for Takayuki. Takayuki then decided to go out with her out of kindness. However, they slowly started growing intimate and this changed the whole relationship between the four friends. Quite a sad anime when it comes to romance. Sakuranomori has to leave his friends and his town due to his parents business trips. Even though it’s quite heartbreaking Sakuranomori believes that once he returns everything will be okay. Five years later, upon his return, Sakuranomori finds out that all of his friends changed and now he has to deal with all kinds of shadowy and gloomy behaviors from them. This is a good sad anime about friendship and its burdens. Yukito Kunisaki is trying to find the winged maiden from fairy tales his mother used to tell him. Upon his journeys, he stumbles into a small town. There he unintentionally befriends the townsfolk and a girl named Misuzu. 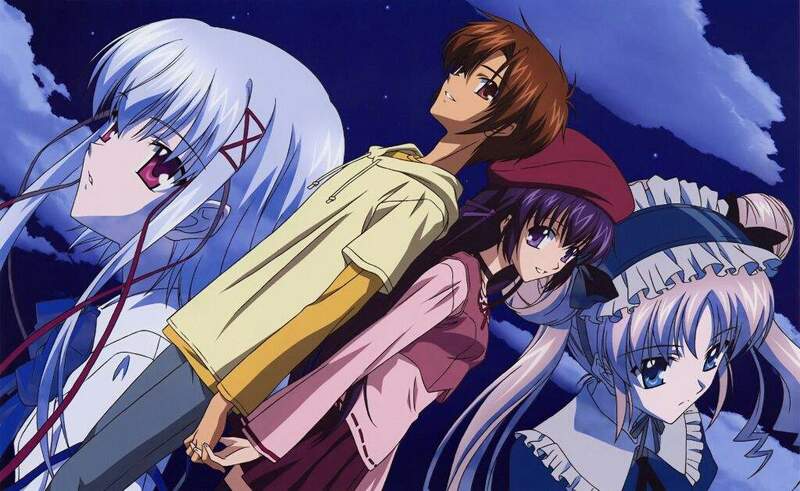 Yukito learns of their problems and decides to stay in the town, postponing his search of the winged maiden. If you like sad anime with a mix of supernatural and drama then this is the show you are looking for. Shinichirou Nakagami lives alone with a girl named Hiromi. However, it’s not as he would have expected it. Hiromi is cold and distances herself from Shinichirou. One day, Shinichirou meets a girl named Isurugi Noe, who takes an interest in him. The series takes a drastic turn for worse as Shinichirou tries to win Hiromi’s heart while spending his time with Noe. 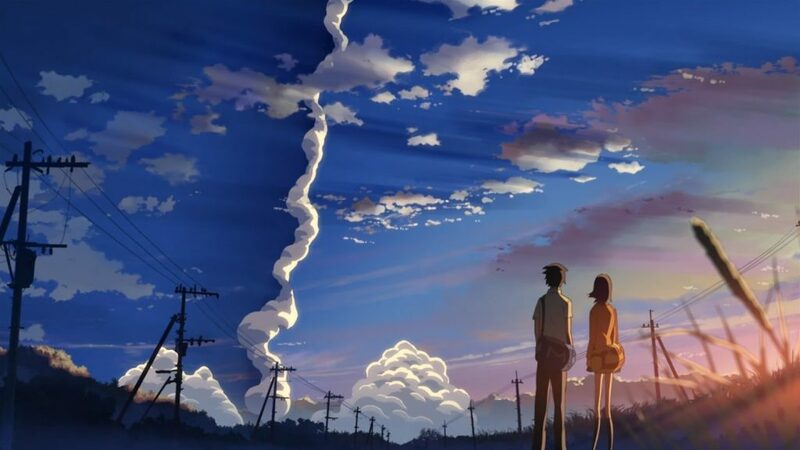 A good mix of drama and romance make this sad anime worth a try. Following the tragic death of his parents, Riki Naoe, who is still a child is diagnosed with a chronic sleep disorder. He has since shut himself from the world. But change enters his life when a boy names Kyousuke befriends him. He recruits him into a team who call themselves the Little Busters. 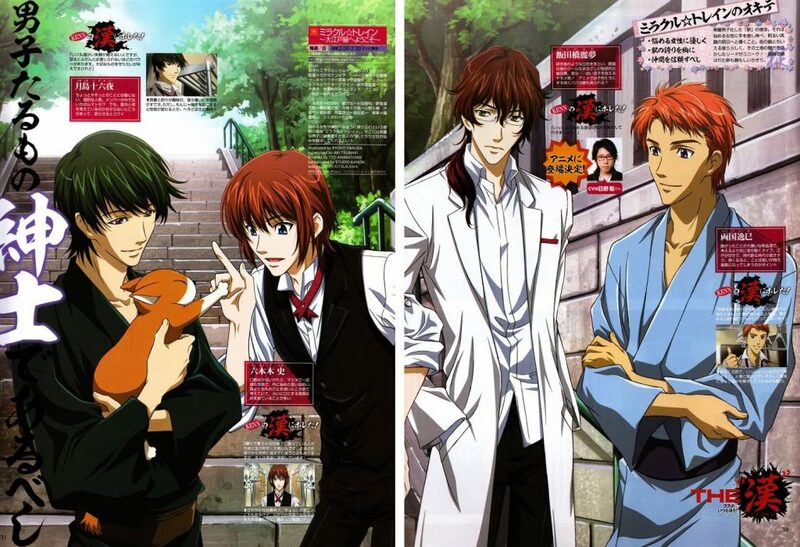 Riki also gets along with other members of the team – Masato, Kengo, and Rin. Together these misfits do their best to enjoy their youth. This continues and even in high school, they are still together. 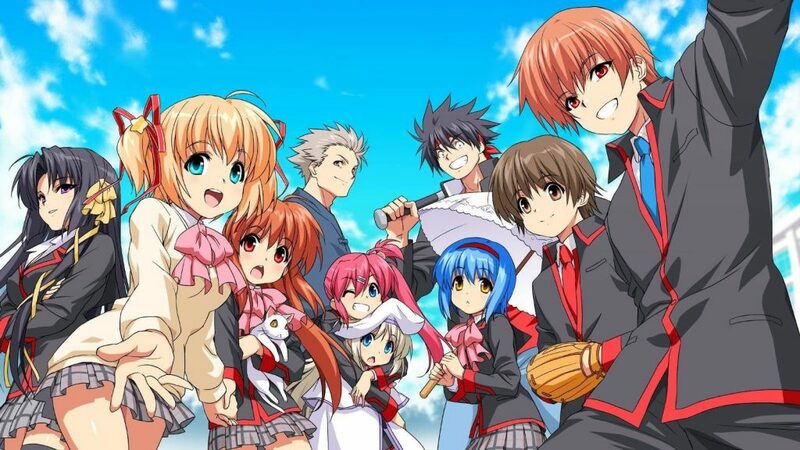 To liven-up the Little Busters group, Kyousuke decides to form a baseball team. Since they aren’t enough members it comes to Riki to reach out and recruit new people into the group. But an omen surfaces to lead them onto a different path. Rin finds a strange letter asking them to uncover ‘secrets of this world’ by completing specific tasks. Just what might this secret be? The series has enough tragic moments to qualify as a sad anime. There is comedy in this series which can help you deal with the sadness. This series is good for a binge watch, so go for it. Ezaki Yuuichi is forced to stay away from his family and friends and be confined to a hospital after being diagnosed with hepatitis A. This certainly displeases the teenager. To overcome his boredom he often sneaks out of the hospital and any amount of punishment by his nurse for doing so does not stop him from continuing to sneak out. One day he comes across a teenage girl, Akiba Rika who is also staying at the hospital. He is mesmerized by her beauty and is drawn towards her. Rika has a bossy personality and can often get moody and be selfish. But as both of them begin to spend time together, they keep getting closer. 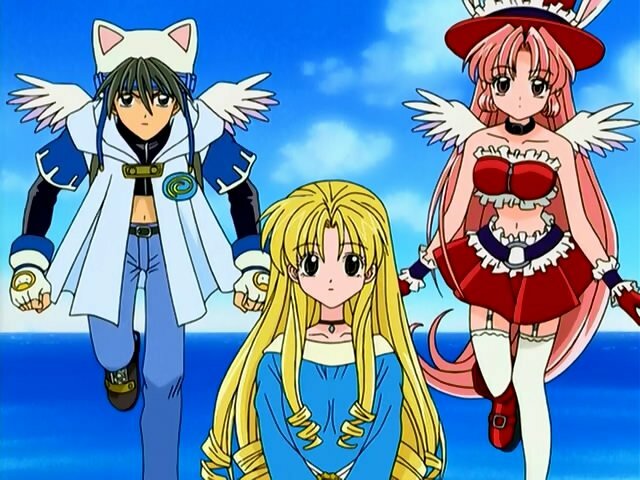 The series depicts six episodes of a bittersweet teenage romance between Yuuichi and Rika, as they share their joys and trials of their life even when tragedy awaits—for Rika’s condition does not leave her much longer to live. Shuuzou ”Shuu” Matsutani is an ordinary guy living an ordinary life. Along with the friends he has and a crush to mesmerize about, his great passion for kendo keeps his life full. But one day when he loses to his kendo rival, Shuu gets out to get some quiet time. Here he meets Lala-Ru, a girl with blue-hair wearing a strange pendant. His attempts to befriend her fall flat. But this does not stop him from saving her when a mysterious woman attempts to capture Lala-Ru. Along with her Shuu is transported to a desert world, unlike anything he has ever seen before. In spite of continuing dangerous and hardships, Shuu only thinks of saving her. He soon learns that Lala-Ru can manipulate water and the strange pendant is the source of that power. When it gets lost, he ends up being the prime suspect. 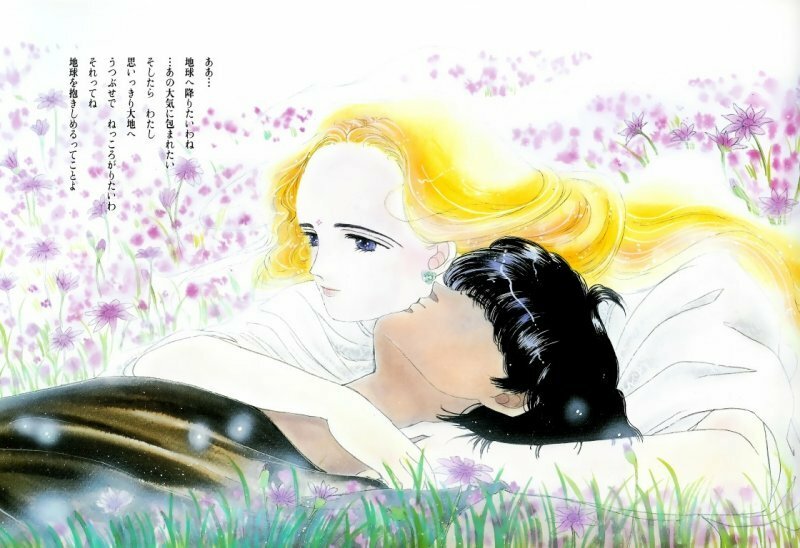 Ima, Soko ni Iru Boku (Now and then, here and there) is the story of Shuu overcoming hunger, torture and other horrors in a dystopian world. This grim, violent and melancholy series has a lot of sadness to offer. Rosette and Chrno are part of the holy organization known as the Order of Magdalene. This organization exists for the sole purpose of exterminating demonic threats. Rosette and Chrno are excellent at their job except for the extensive collateral damage their missions often cause. Both of them are not without their dark pasts. Rosette is constantly trying to find her lost brother Joshua. Aion, a demon is responsible for his disappearance. Chrno also shares a bloody history with this demon. Together, the duo must keep fighting the demonic menace and continuing their search for the truth behind Joshua’s disappearance. This action series can be said to have a dull start but if you can get past it, you will come to like this series. The story is set in post-apocalyptic Japan. Ten years ago, an outbreak of a mysterious virus, an event solemnly regarded as “Lost Christmas,” brings an end to an organized democratic world. GHQ, an independent military force is ruling Japan with the excuse of restoring order. The only organization to offer any meaningful resistance to GHQ’s cruel despotism is the guerilla group, Funeral Parlor. Gai Tsutsugami leads this group of freedom fighters in a hope to end the rule of GHQ someday. Shuu Ouma, an unsociable and weak high school student is dragged into this mess when he obtains the “Power of Kings” ability. As Shuu goes on to get more deeply involved he starts to uncover the secrets behind GHQ, Funeral Parlor, and Lost Christmas. But this comes at a far greater price than he could have ever imagined. This action-packed series is not without its faults but you can give it a try for its murky secrets. High school student Naho Takamiya’s first day of her sophomore year has thrown her into a turmoil. She found herself to have woken up to a strange letter addressed to her from her 10 years in the future – 26-year-old self. At first, she believes this to be a joke. When she realizes that the letter has accurately predicted some events, she starts to consider it seriously. The letter mentions a lot of regrets and cautions her of the decisions she will be making in the future. 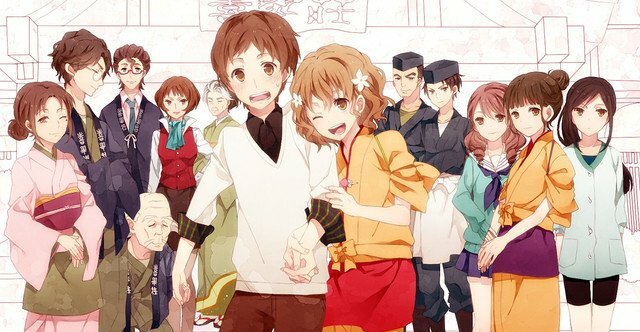 The series centers around the daily life of Naho and her friends who navigate their life in spite of regrets. Join them to share their joy as well as sadness! 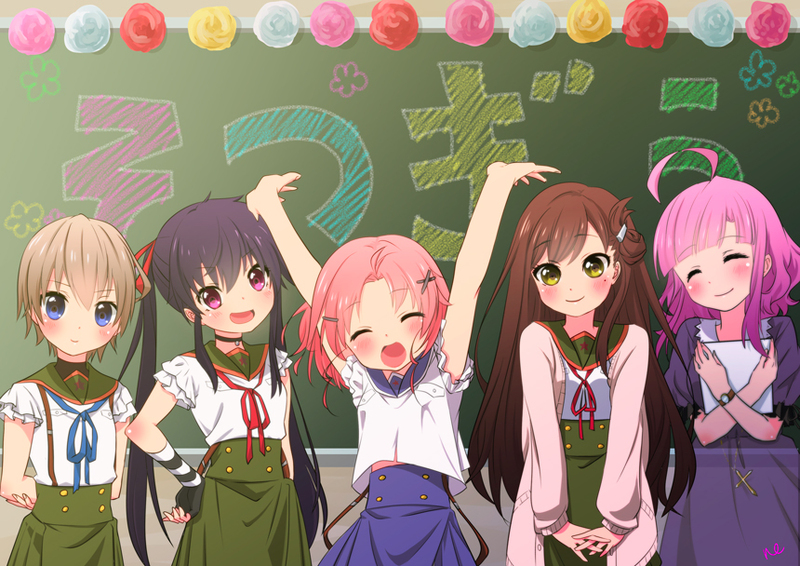 Yuki Takeya is one student who does not want to leave her school at all. She loves it way too much. She loves her nonchalant life in Megurigaoka High School which is distinctive and energetic. Yuki is a third-year high school student and a proud member of the School Living Club. With Yuuri Wakasa as the president of the club, the club consists of the sturdy Kurumi Ebisuzawa; the grown-up junior Miki Naoki; the supervising teacher Megumi Sakura; and the club’s very own dog Taroumaru. They pleasure themselves by making the most out of their school lives. But this mirage of infinite ecstasy prevents Yuki from being able to grasp what’s actually happening around her. In reality, what they perceive is not the actual truth. The need for a School Living Club is to flee from the dreadful truth; The girls are the only survivors of a zombie apocalypse. They have obstructed themselves from the outer world by staying inside the school. 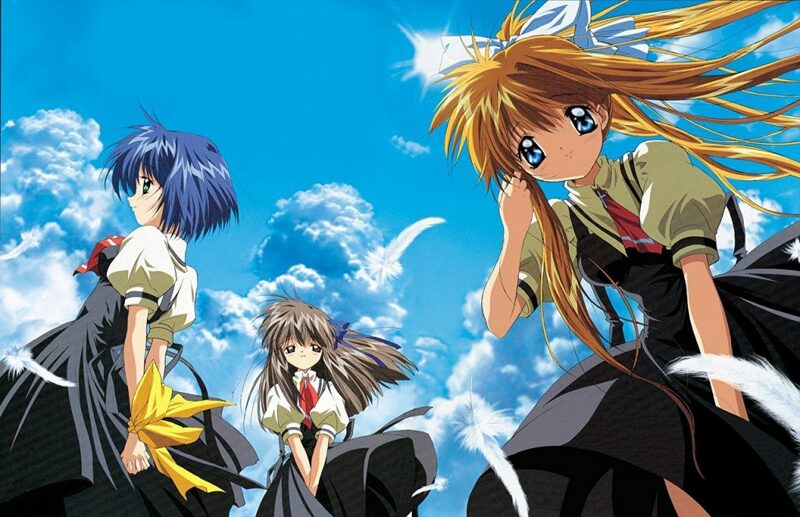 What makes this one of the best sad animes is the fact that these girls have to survive in a post-apocalyptic world all by themselves. They cannot seek help from the outside world. The fact that the girls are surrounded by aggressive undead and still have to act normal in front of Yuki makes it a much more engaging anime among the list of sad animes. The Montague family butchers the entire Capulet family. They take control of the kingdom on the floating continent of Neo Verona. Juliet Fiammata Asto Capulet, the true successor to the throne, manages to run away from the assault on her family. She escapes with the help of people who have been faithful to the Capulets for 14 years. They do so with a wild ambition that one day their rightful queen might dethrone the savage Montague family. Now Juliet secretly safeguards the ill-treated citizens as a vigilante named Red Whirlwind, all the while forgetting about the massacre of her family. During one of her adventures, she comes face to face with the soft and altruistic Romeo Candorebanto Montague. And without knowing about each other’s lineage, they fall in love. Sadly, their fate is doomed; not only does each of the two families want to annihilate each other but a bygone secret beneath Neo Verona also terrorizes their everlasting love for each other. Will they emerge successfully against all odds or is this just a very very sad fairy tale? This premise itself makes it one of the best sad animes of all time. A music club, with Haruki Kitahara leading it, is on the brink of collapsing. Haruki’s dream to perform at the school festival will never come true if the state of the club continues to be as it is. But as his weary fingers flow through the chords of the first album he would ever play, “White Album”, a divine voice and mysterious piano begin to gel with his isolated guitar. It is a critical performance which is acts as a brilliant start of everything for Haruki. 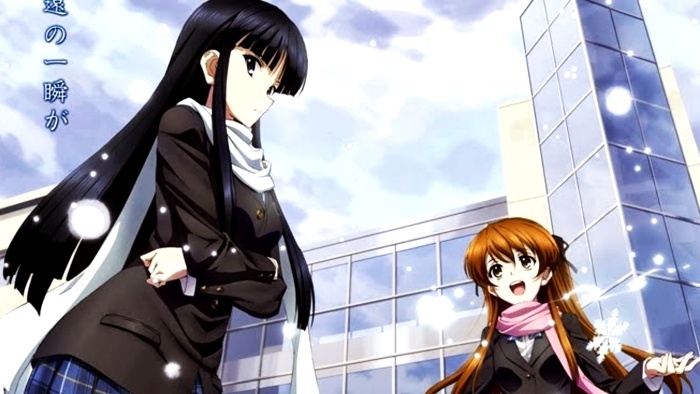 White Album 2 arranges Haruki’s final semester with complex romance and intoxicating music as the screens of the stage he craved begin to open. The conflict in his romance and his struggle to create great music makes this one of the painful and sad anime. 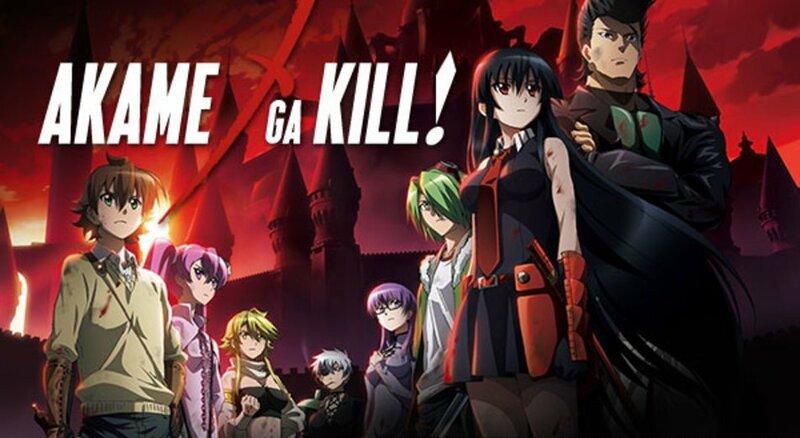 If you are not prepared to see sad and depressing scenes filled with death and blood spilled then you should not jump into watching Akame ga Kill. Even though this anime was great and action-packed (which is something many viewers are interested in), it still had some scenes that were very hard to watch. However, if you do not mind those scenes, then this will be the sad anime series you are looking for. The story focuses on a group of Assassins, that is going against the Capital. The world of Akame ga Kill does a really good job at portraying unfairness and inequality. The strong survive, and the weak die, while the Capital of the city is corrupted deep down its core. Night Raid serves as the assassination core for destroying the Capital, they are one small part of the Revolutionary Army. Banri Tada suffers from amnesia due to a disastrous accident causing him to forget about his hometown and past. Nevertheless, he decides to move on and start a new life at a law school in Tokyo when he becomes a friend to Mitsuo Yanagisawa. But just when he calibrates to his college life, the alluring Kouko Kaga jostles into Banri’s life, their meeting marks the start of a memorable year. After having a taste of college life, Banri comes to know that he is in a new place and in fact, in a new world. This is a place where he can be reborn, make new friends, experience love, make mistakes and get bigger in life. As he starts to unravel who he really is, the path he has taken leads him towards a dazzling life that he’ll want to remember forever. When a bunch of 5 students comes to understand that they do not fit in any of the clubs in their school, Yamaboshi Academy, they gather together for the formation of the Student Cultural Society or StuCS. The club consists of a die-hard fan of wrestling whose name is Taichi Yaegashi, an ambiguous yet cheerful Iori Nagase, a calm and composed computer intellect Himeko Inaba, a dainty karate practitioner Yui Kiriyama and the class buffoon Yoshifumi Aoki. One fine day, without warning, Aoki and Yui encounter a bizarre incident where they switch bodies for a short time. As this mystical occurrence continues to occur randomly amidst the five friends, they begin to understand its not just fun and games. Since each of them become closer to one another than they’ve ever been, they uncover each other’s concealed secrets and psychological scars This could tear the StuCS and their friendship apart. 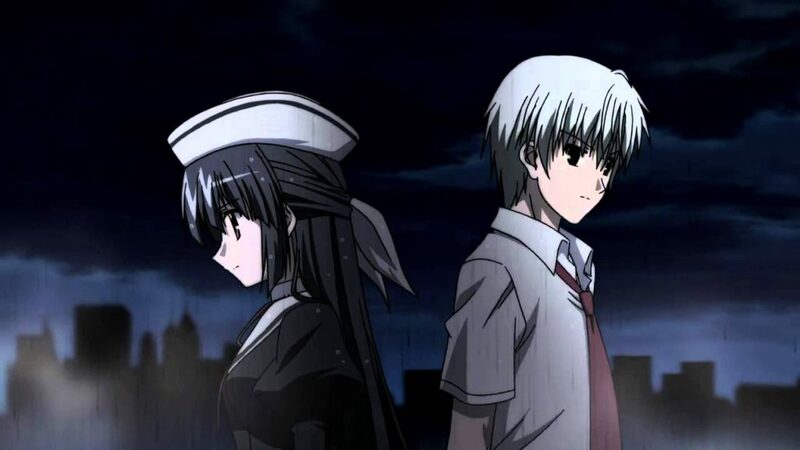 Seeing the camaraderie between the characters diminishes as the secrets get unraveled makes this one of the sad animes and one to check out without hesitation. 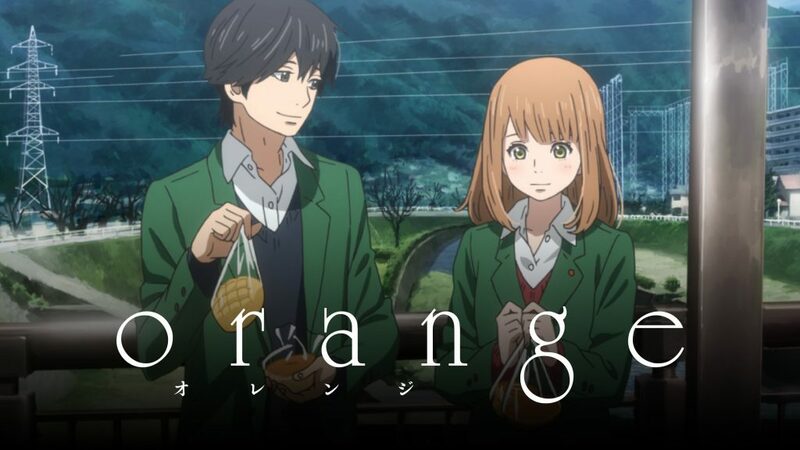 Two best friends and classmates, Takaki Toono and Akari Shinohara, are ripped apart when Akari’s family is sent to another part of Tokyo due to the family’s job. Through mail, they continue to be in touch with each other. Takaki decides to meet Akari for one last time as his family is also moving out. Both of them begin to forge their own path as time passes by and the distance between them keeps increasing. After one point, they lose contact with each other but they still cherish the memory of the times when they were together, still thinking if they’ll ever get an opportunity to meet each other. The uncertainty of the story and the pain of separation, which is told beautifully, makes this a must watch among other sad animes. A story of four students from Hoshinoumi Academy, a school that protects students who are able to manifest superpowers on reaching puberty. One of the four students, Yuu uses his power to slip into people’s minds to gain high grades and for an easy going life at high school. 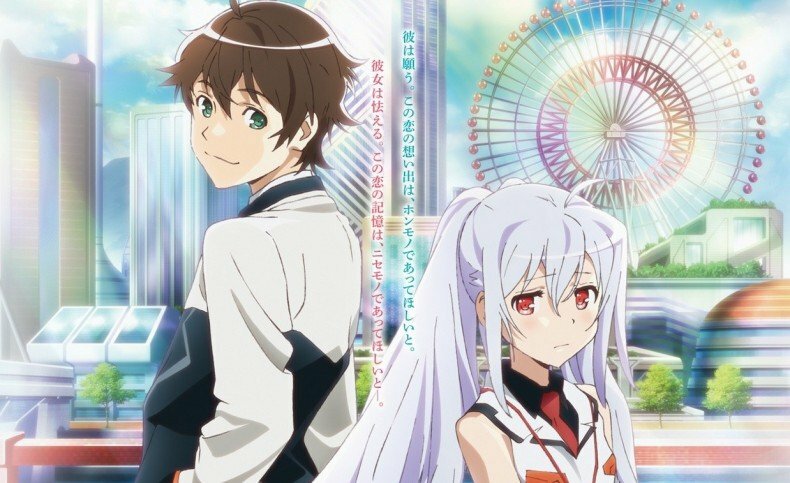 However, his happy days don’t last long as Nao Tomori catches him using his power, who later coerces him and his sister Ayumi to join the Hoshinoumi Academy. At the academy, Nao leads the student council of the school and forces Yuu to join, where he learns shocking truths about himself. They fight together against all the odds and Yuu realizes he is more powerful then he thought. 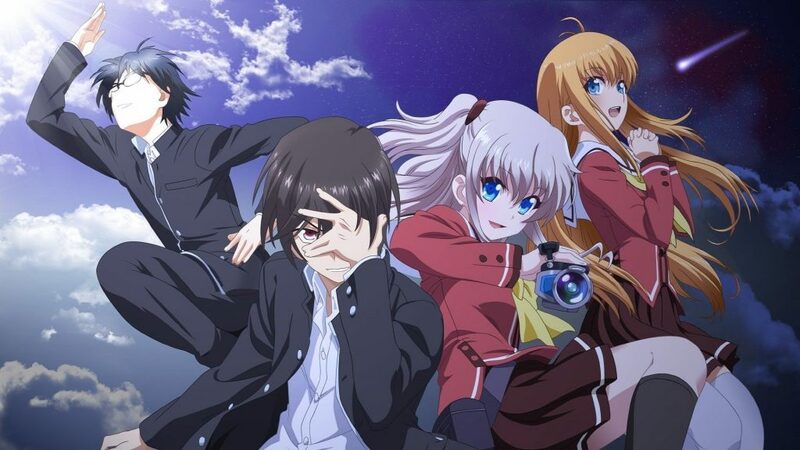 Charlotte is a supernatural teen drama that revolves around these teens who are set to discover their superpowers only to realize that it comes with a price. Mitsuki Kouyama’s friend, Eichi Sakurai, moved to America two years ago. Before he left, she was to confess her feelings for him but couldn’t. However, they make a promise to fulfill their respective dreams. Mitsuki’s dream is to become a professional singer, as she wants her voice to reach her childhood love Eichi. She hopes her voice would reunite her with him. Nevertheless, there is nothing happy in the paradise of dreams, Mitsuki finds that she has a malignant tumor in her throat that puts a strain on her voice while singing. Without surgery, she would be unable to sing forever and her grandmother insists her to undergo the surgery out of sheer hate for music. However, Mitsuki refuses because she is afraid to lose her voice. Late one night, two friendly Grim reapers pay her a visit from the Paediatrics Division of Heaven who helps her become a professional singer. She now is on the road to achieving her dreams and managing her newfound double-life. A young girl who is born out of a cocoon in the village of Old Home remembers nothing but fragments of a memory from a dream. 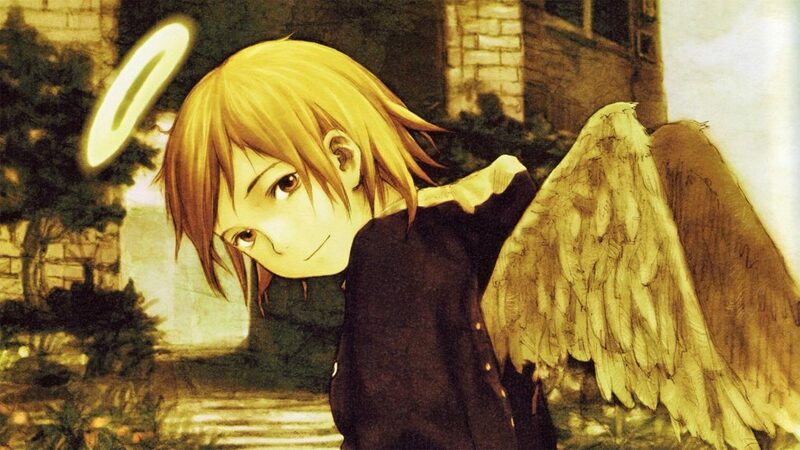 A dream where her name was “Rakka”, she is a Haibane and hence, is accepted as one of the Haibane – a family of humanoids with a halo and small gray wings. Their building is called Old Home which is located on top of a small hill in the outskirts of the town. It is near their Old Home, a great wall that the Haibane are forbidden to come near or even touch. Rakka now tries to tries to come to terms with her new existence. 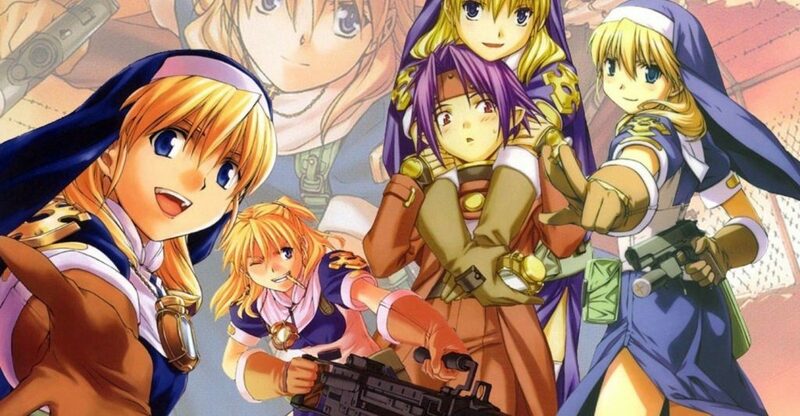 She makes friends and learns about the Haibane Renmei – the Charcoal Feathers federation. 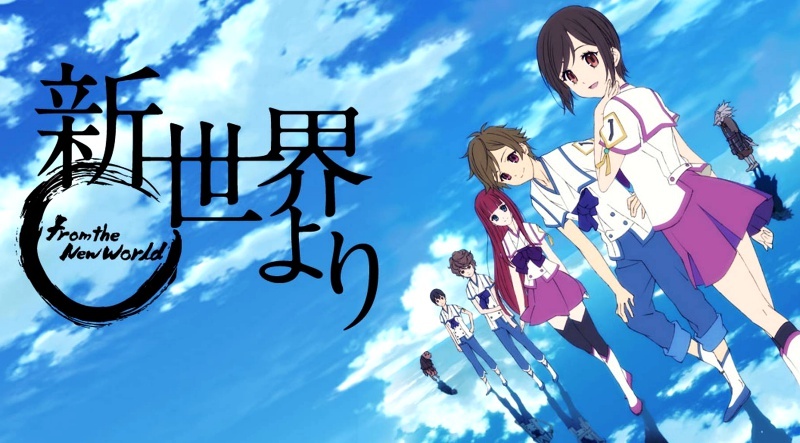 This sad anime features a powerful story on forgiveness and salvation, do give it a try. On one strange day, Ohana Matsume upon returning from school learns that her mother is leaving with her boyfriend to escape from their debt and she is sending her to live with her grandmother with only one philosophy “to rely on herself”. Her grandmother lives in rural Japan where she runs a hot spring inn called Kissuiso. Upon arrival, she lends her helping hand to her grandmother at Kissuiso. However, later she finds herself at odds with the employees and various customers at the inn. She even has a hard time making friends at school. But like they say impossible odds set the stage for amazing miracles, Similarly, Ohana decides to do something about her sad circumstances. She uses her difficult edges as an opportunity to change herself for the better. She restarts her journey of love, friendship, self-discovery and dreams by making amends with the staff at Kissuisso’s and by levering herself up to make new friends. If you are looking for inspiration to overcome sad circumstances then this sad anime is for you. Tsukasa Mizugaki is an eighteen-year-old student who finds himself in a fix after failing his college entrance exams. After using some crafty connections and ingenious tricks, he manages to get a job at the Sion Artificial Intelligence Corporation which specializes in the construction of highly advanced humanoid androids called ‘Giftias’. But the maximum lifespan of these Giftias is only nine years and four months. Tsukasa is assigned to Terminal Service One which is responsible for handling Giftias which have crossed their expiration dates and have become violent after losing their memories. 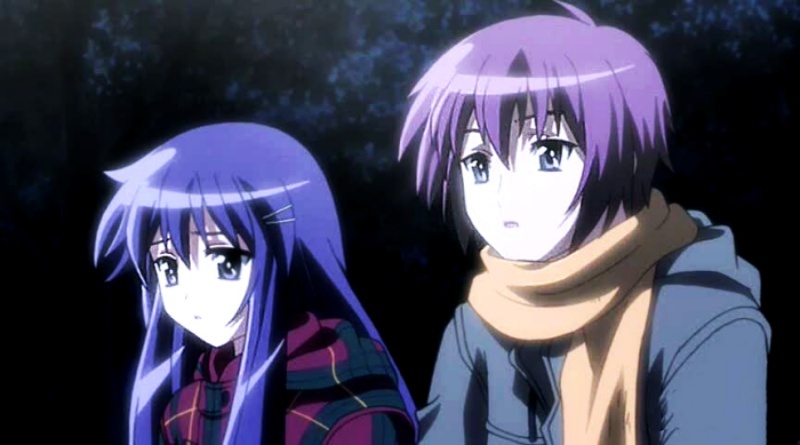 Tsukasa is paired with the best Giftia in Terminal Service One, Isla, who is a veteran in retrieving expired Giftias. He finds himself falling for Isla’s beauty and charm but he must crush his feelings before Isla’s time is up. Jan Naruse is a daydreamer who sees the world through rose-colored glasses, owing to her love for fairy tales. But her naiveté and misplaced trust in these tales become the cause of her suffering when she lets out the secret of her father’s affair which leads to her parents’ divorce. As she copes with the tragedy, her guilt and regret take the form of a fairy egg – a creature that prevents her from speaking to safeguard the happy endings of others. In High School, Naruse is chosen to partake in a musical even though her voice is still sealed by the fairy egg and trying to speak causes her to be wracked with stomach pains. As Naruse steps into the club room to back out from the musical, she overhears the singing of one of her musical partners, Sakagami, and changes her mind. Being a movie that doesn’t really have tragic moments but will for sure pull on your heartstrings. 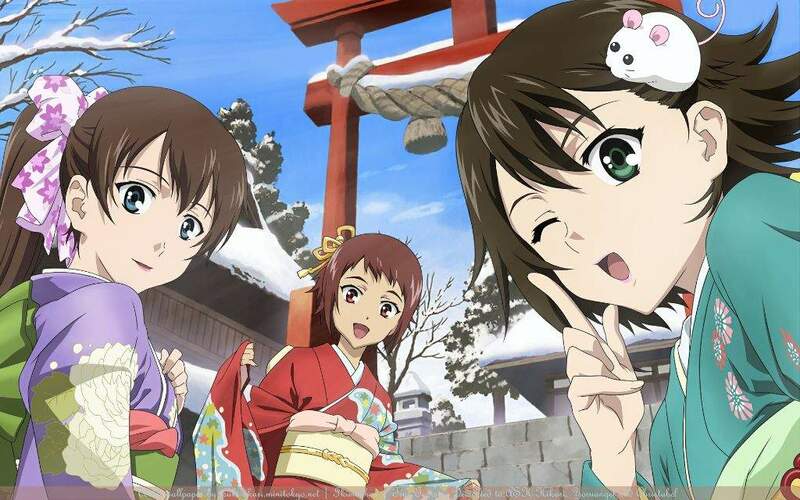 A chance meeting with a puzzling girl, Amamiya Yuuko, forever changes the life of Himura Yuu, a studious young man bent on academic excellence at the Otowa Academy. As unsolicited memories of a childhood surface, Yuu is forced to face the bitterness and anguish of his past that intertwines with that of Yuuko’s, in a story that is set many years in the past. Kuze Shuuichi is a young man who comes off as a philanderer on the surface but simply seeks solitude. After witnessing the melodious sounds of his violin performance, Hayama Mizuki, a tenacious young girl, is set on getting close to him despite his rejection of her advances but an impending catastrophe awaits them as their relationship grows in the present. Aizawa Yuuichi has visited his cousin frequently in the city when he was a child. But something serious has happened which keeps them apart for seven long years. Yuuichi, with the memories of his visits to his cousin’s place completely erased, returns after seven years. Yuuichi crosses paths with several young girls. As he moves into the wintry town, he realizes that the girls’ lives are a fragment of his past. He begins to regain his buried childhood memories as he becomes friends with these girls and chats with them. What makes this one of the sad animes is the fact that it deals with lost memories. For me, there is nothing better in a sad anime series than harsh realism. And exactly that is one of the reasons I love Tokyo Magnitude 8.0. The show does a really great job at portraying the struggles that the main characters have to face in order to survive. One day in Tokyo there was an earthquake of magnitude 8.0. It shook Tokyo, destroyed many things and caused accidents for everyone. 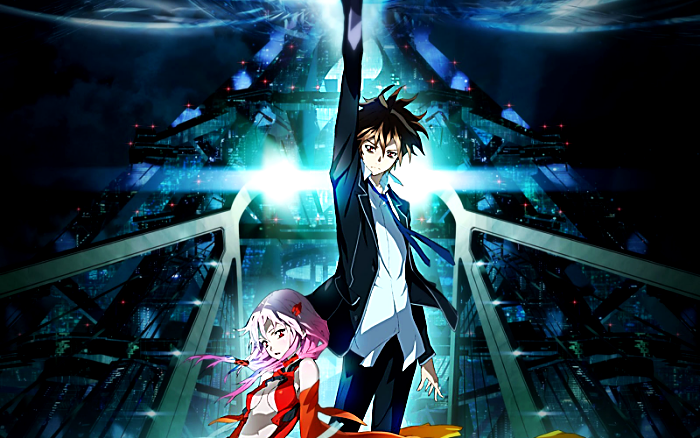 The story follows Mirai and Yuuki Onozawa as they caught in this earthquake. They stumble upon Mirai Kusakabe. She then tries to help them survive this tragedy, and together they look for their families. The show was 11 episodes long, however, it took me a lot of time to finish watching this show. The pacing is really slow and makes you want to drop it. However, once you get to last 3 episodes, it makes it worth the wait. An escapee, in the name of Aslan Jade Callenreese (aka Ash Lynx), was taken from the street of New York City. He was brought up by the notorious Godfather of the mafia, Dino Golzine. Ash is 17 years old now and even has his own gang. One fine day, he hits jackpot by getting his hands on a peculiar drug known as the “Banana Fish”. These are the same two words his elder brother kept mumbling whence he returned from the Iraq War. Dino sends his men to reclaim the drug from Ash at his hideout, an underground bar. This causes the investigation to come to a halt. Ash is introduced to Shunichi Ibe and his assistant, Eiji Okumura by Ash’s friend at the bar, Skip. Shunichi Ibe and Eiji Okumura are Japanese photographers gathering intel on American Street Gangs. However, their discussion is interrupted when one of Ash’s allies, Shorter Wong, contacts him to notify about Dino. Soon, Dino’s men barge into the bar and abduct Skip and Eiji. 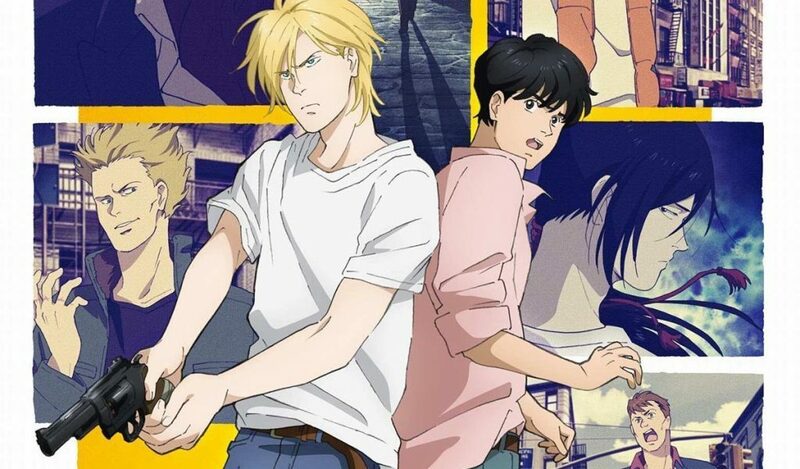 Now, Ash has to save them and must carry on with his investigation on “Banana Fish” but will his history with the mafia put a stop to his mission? After death, there is no heaven or hell. There is only a small line separating rebirth and stupefaction. There the steward will, one after the other, summons pairs of the recently expired to a random game. The game decides their fate of either arising to rebirth or falling into the void. Whether it is bowling, darts, air hockey, or anything in between, each individual’s true colors will be unveiled. The unveiling occurs in a frightful carcade of death and memories, swaying to the whims of the bar’s overlord. Welcome to Quindecim, where Decim, judge of the life after death, awaits! 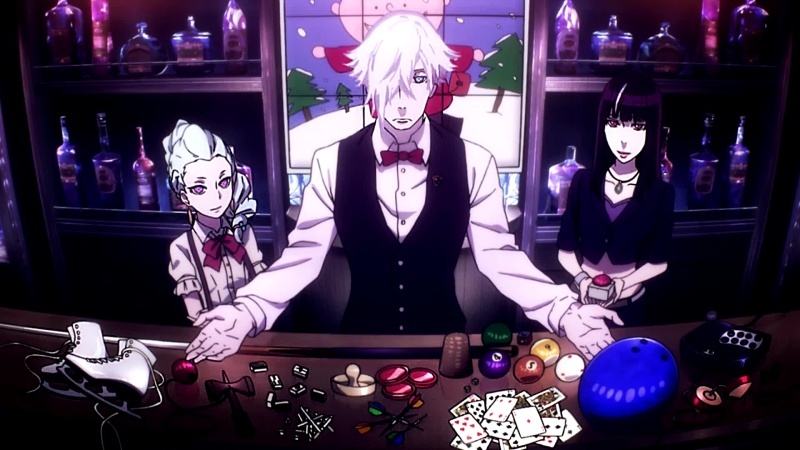 Death Parade enlarges upon the original one-shot intended to train young animators. It follows more people receiving shrewdness. This happens until a peculiar, black-haired visitor cause Decim to start examining his own decisions. While not tragic at first the series has a lot of fun and also sad/tragic moments which makes it perfect for this sad anime list. 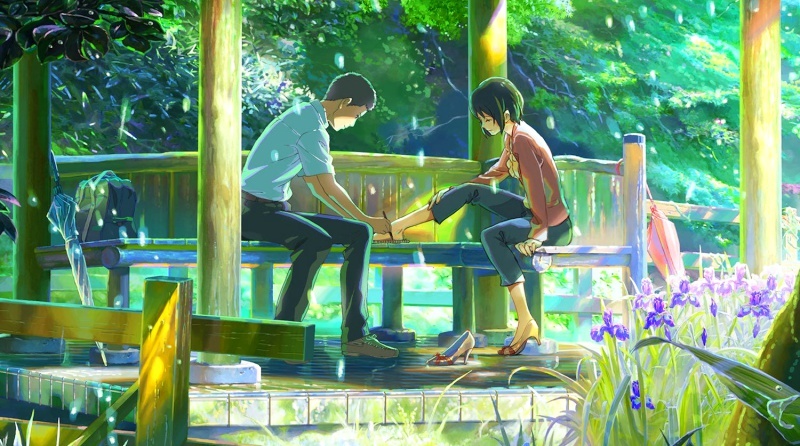 It’s the rainy season in Tokyo and one fine morning, Takao Akizuki, who yearns to be a shoemaker one day, decides to omit his class to draw his designs in a beautiful garden. Little did he know that he will meet Yukari Yukino, an alluring woman, for the very first time in that wonderful venue. By proposing the idea of making her new shoes, Takao continues to meet Yukari for the rest of the season. Both of them begin to assuage the pain in their hearts by just being with each other, which they themselves do not realize. However, their personal issues have not completely vanished. And as the rainy season approaches its end, their bond will be put to a test. The classic “Will they end up being together?” storyline is what makes this anime stand-out amongst the other sad animes. Otonashi arises with only one memory: His name. He is given the chilling information that he is dead and he is, in fact, in the afterlife by a rifle-wielding girl called Yuri. She happens to be the leader of the Shinda Sekai Sensen. The SSS has locked horns with a girl named Tenshi. Otonashi finds it hard to believe that Tenshi is evil. He attempts to have a conversation with Tenshi which goes awry. 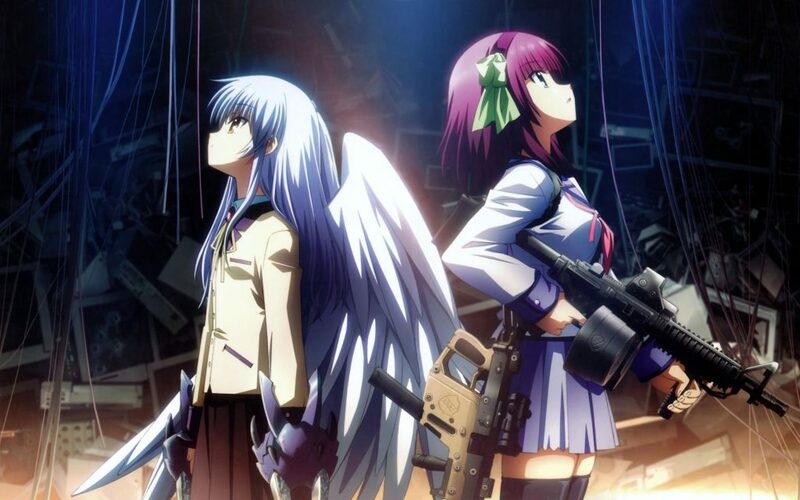 This makes Otonashi join the SSS and battle it out with Tenshi. But there is something that draws Otonashi towards Tenshi. While struggling to figure out his past and his connection to Tenshi, he imperceptibly begins to understand the enigma, that is the afterlife. Shinsekai Yori takes place in a dystopian future where 0.1% of the human population has acquired the power of psychokinesis. People with this power are capable of a wide range of things such as moving of objects only with their mind and even crushing someone to a pulp even without touching them. When 12-year-old Saki Watanabe psychokinetic abilities awaken she joins the Sage Academy which trains special children to control their power. While studying in the school Saki begins to question the fate of those who do not possess the power as she and her group of friends gets involved in various mysteries such as tainted cats that kidnaps children. The coming of age story of Saki Watanab as she learns to cope with the various dark and twisted truths of the society even while learning to find her place in that very different world. If you have not seen 3-gatsu no Lion yet, then I do believe that you will like this sad anime series. 3-gatsu no Lion follows Rei as he battles his way through the Shogi business. He is a professional Shogi player, and due to all of the stress from the career, he is quite drained both emotionally and physically. The story follows Rei as he battles his emotions and career related problems along with Akira, Hinata, and Momo. 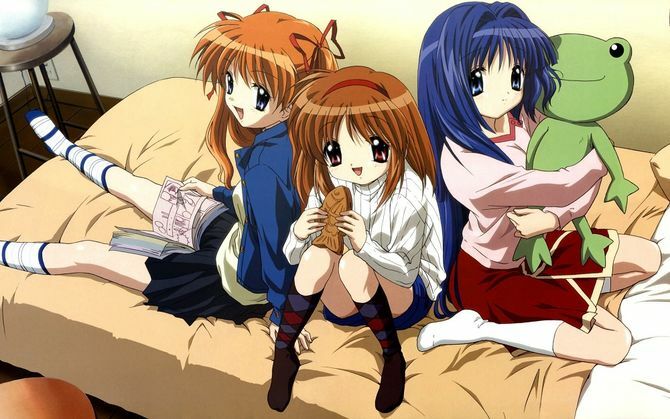 The three Kawamoto sisters share a deep bond with Rei and help him resolve his issues. 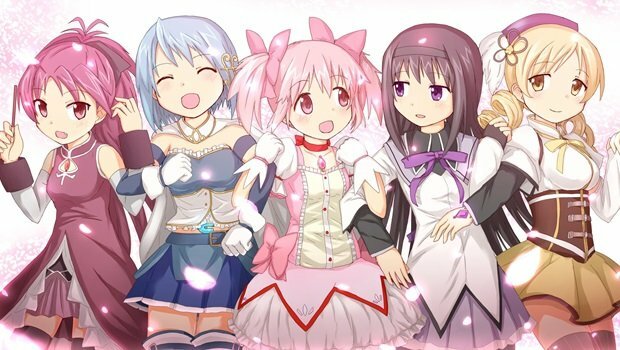 At first glance, Mahou Shoujo Madoka Magica may seem just like any other magical girl anime with cute characters and animation. If you are a person who loves surprises then here is a series that tells a dark and gritty tale. Madoka Magica is the story of magical girls, their dreams and their source of power and the sacrifices they make in order to gain those powers. Two regular middle school girls, Madoka Kaname, and Sayaka Miki meet a cat-like-magician named Kyuubey. He offers them their wish in exchange for becoming magical girls which grants them magical powers to do whatever they wish for. 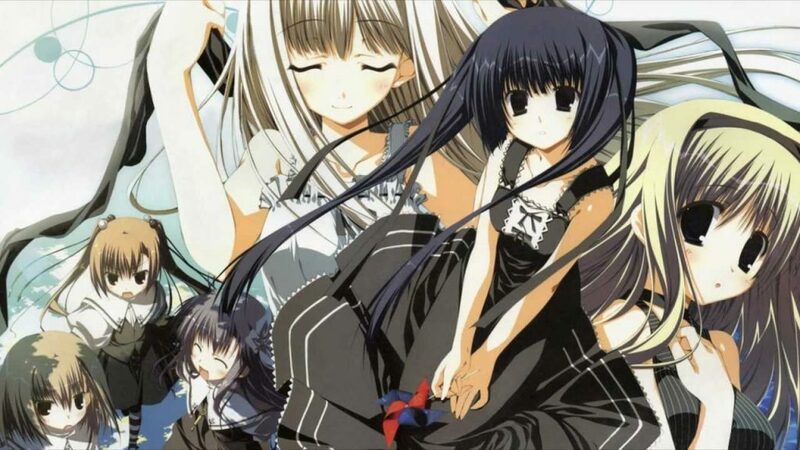 Although everything is not as simple as it seems, they are even warned by one of the magical girls, Homura Akemi, as everything they possess demands an equal price to be paid. 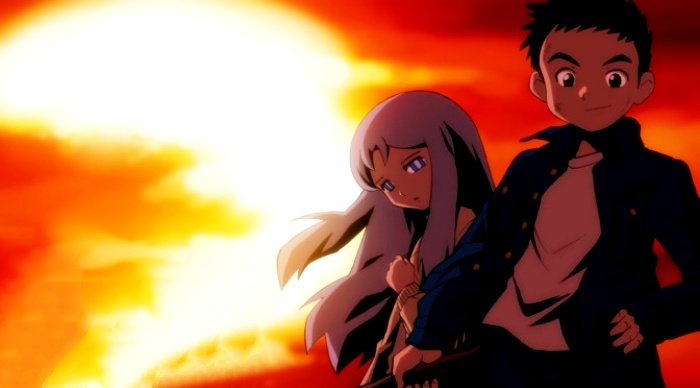 Anohana is the tear-inducing story of Jinta Yadomi and his group of childhood friends who get separated and continue separately with their own lives after the death of their friend Meiko “ Menma” Honma. 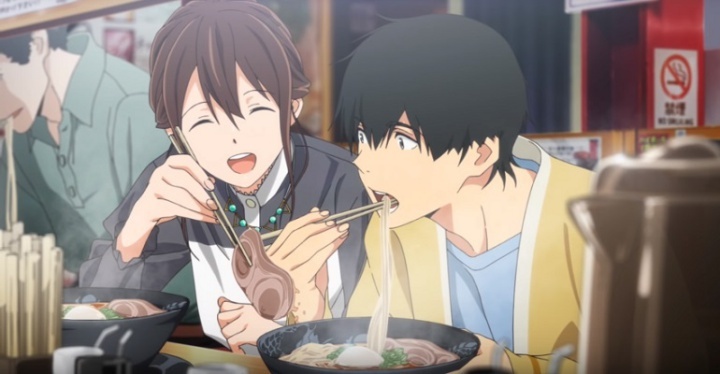 Several years since the incident, Jinta Yadomi now a teenager living a pretty normal life, one day he encounters the adult ghost of his dead friend Menma. Jinta’s life gets messy as can see his dead friend and apparently only him and no one else can see him. 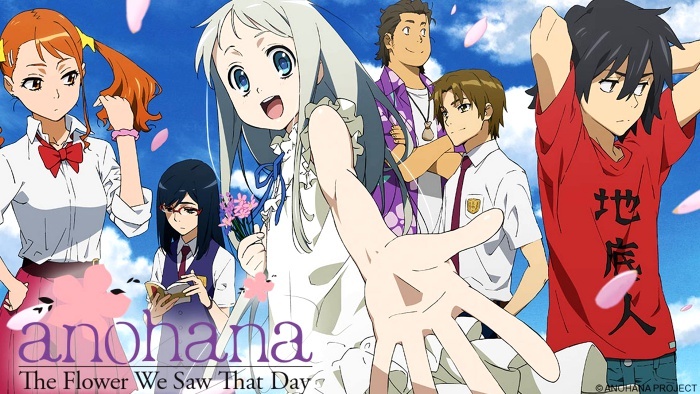 In order to let Menma’s spirit rest in peace, he decides to reconnect with his old group of childhood friends, each of whom have coped with the tragedy of Menma’s loss in different ways. The story is about a group of friends trying to make amendments to free themselves for the guilt and pain and to move on with their life. 29 years old manga author, Satoru Fujinuma who possess a unique gift to travel back and forth in time. He calls this the ‘revival’. Although he can’t control his gift, he uses it to save many lives. The revival generally happens before something terrible is about to happen. Fujinuma can sense the upcoming tragedy and knows what wrong is about to happen by several minutes, making it possible to prevent it from happening. Things change when Fujinuma is accused with the murder of his own mother and is revived back in time, this time instead of several minutes he travels back 18 years and gets trapped in 1988 when he was only a child. There he learns that the murder of his mother might be linked to the mysterious disappearance of his former classmate Kayo Hinazuki. 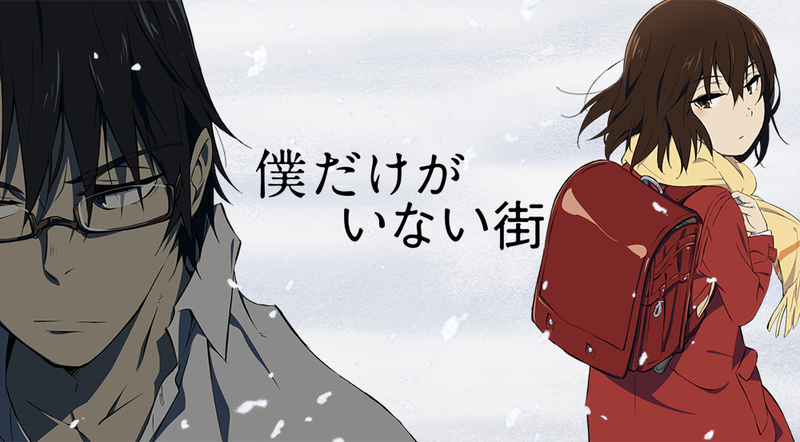 Boku Dake ga inai Machi or erased is the story of how Fujinuma tries to solve the mystery of his missing classmate in order to set things right for the people he cares in the present and how he changes the present in the process. Finally, the Great War came to an end. The continent of Telesis was cleaved into two after 4 prolonged years of dispute. Telesis slowly began to prosper. Caught up in the slaughter was Violet Everdeen whose main objective was to annihilate enemy lines. Hospitalized and incapacitated, in a raw battle, she was left only with the words from an individual she loved. But she couldn’t understand the meaning behind it. Violet starts a brand new life by working at CH Postal Services. This is after the failed relationship with her supposedly new guardian family. And she is still recovering from her wounds. Here she comes across an “Auto Memory Doll”, an assistant that writes down people’s thoughts and feelings. Fascinated by this, she begins to work as Auto Memory Doll. This takes her on an escapade, that will reshape the lives of her clients. And hopefully, it will also help her discover herself. Mario, Cabbage, Soldier, Turtle, Uncovered, and Joe are in all six delinquents who are sent to a reform school as a punishment for their various crimes. The school is similar to a prison and all of them are tortured and humiliated. 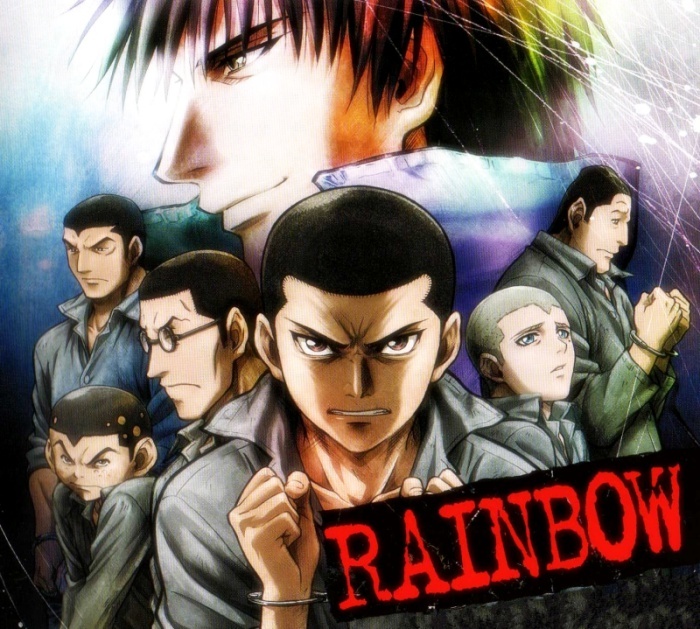 In their cell room, they meet a guy named Sakuragi, who later overcoming their differences become comrades. Joe loses his sister to adoption and is determined to be united with her after he has served his sentence. Sakuragi comes to reveal how he considers his father’s suicide to be a murder committed by him as he failed to understand his own father. Mario learns boxing from Sakuragi. The seven mates strengthen the bonds and make promises of when they will be released from the reformed prison. The plot of the anime attempts to express the harassment and abuse that inmates of the school have to face on a daily basis. If you looking for a gripping story with also some of the saddest and depressing moments. then this one is worth watching. As World War II comes to an end in 1945, Japan faces extensive demolition due to the US bombings. 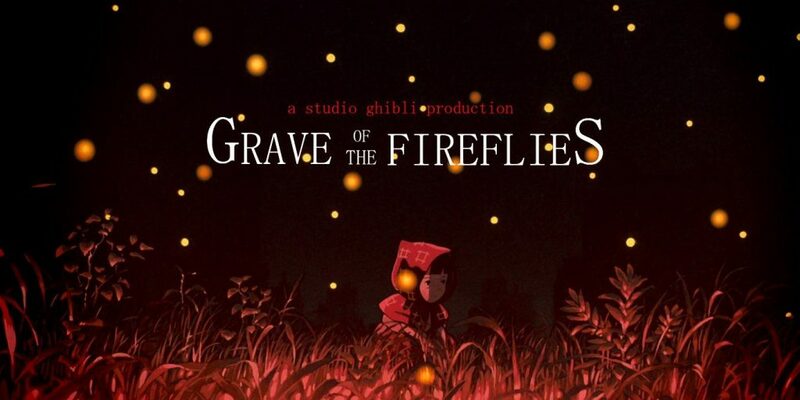 Hotaru no Haka, aka Grave of the Fireflies, is the story of two siblings, Seita and Setsuko. The barbaric war has wrecked the lives of the two children. They have lost their mother, their father, and their home. Along with it, they have also lost the likelihood of a vivid future. All of these are outcomes of the war. Now orphaned and vagrant, Seita and Setsuko have no option but to travel across the countryside. Famine and illness plague the countryside. Met with the passivity of adults along the way, they realize that hopelessness can turn even the gentlest of people inhuman. Yet their spry hope radiates brightly in the face of relentless deprivation, preventing them from quickly surrendering to an unavoidable fate. The uncertainty of the lives of the siblings forms the crux of the story. This very uncertainty is what makes this anime the best of all sad animes. An instant classic. The series is shown from the point of view of a male protagonist. The basic theme of the anime revolves around Sakura Yamauchi, a young, popular and cheerful girl with a pancreatic illness. She keeps this a secret and determined to live her life to the fullest, as long as it lasts. 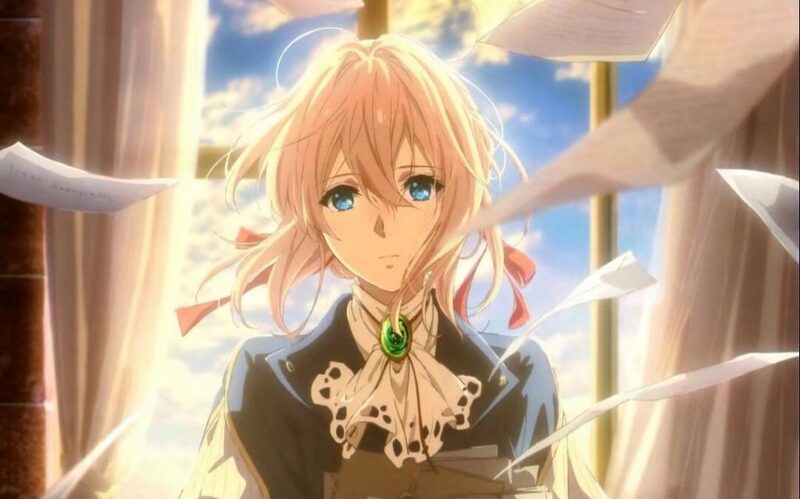 One day the boy discovers a diary in the hospital waiting room which was titled “Living with dying.” After reading the journal, he discovers Sakura’s illness. From here she starts to confide in him her heart’s wonders and desires. The series is an emotional display of how the perspective of the boy changes from being aloof with life to falling for a dying girl who is spiced with high spirit and unpredictable actions. 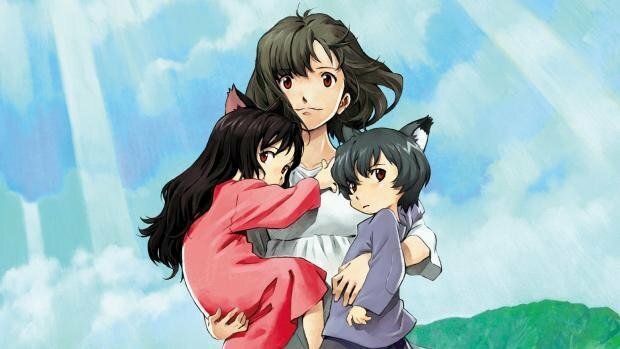 Wolf Children tells the tale of a single mother, Hana, who decides to raise her two young children, Ame and Yuki, on her own after their father’s passing. The catch? Her children are half-human, half-wolf. A combination of strength, determination and pure unadulterated love keep pushing Hana forward as she struggles to care for her two confused kids. Just as light-hearted as it is poignant, Wolf Children brings to the forefront issues of identity and acceptance that you wouldn’t normally see children being tasked with handling. Foxes and werewolves equally abound in this charming countryside story of a mother’s journey through life with her two kids, who may be odd, but they’re hers, as they find their true paths in life. One of the most misleading anime in recent memory. Looks cute on the outside but all that waits on the inside is sadness and tragedy. The show revolves around Riko, a young orphan who’s spent her life idolizing those Cave Raiders who dared to dive into the bottomless pit surrounding her village and recover artifacts. One such Raider, a legendary White Whistle, is her mother Lyza, who never returned from her trip down the Abyss. 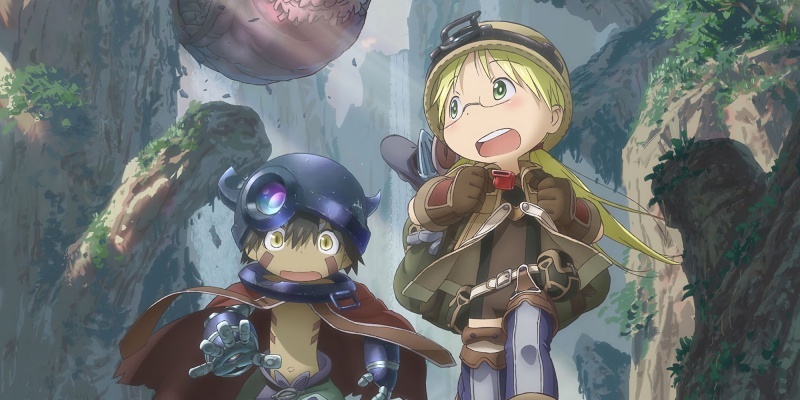 When Riko finds a humanoid amnesiac robot, who she names Reg, she decides to brave it all and descend deeper into the Abyss to discover its secrets and potentially be reunited with her mother. Twisted creatures and daunting adventures face the two as they take on other teammates to venture into the Abyss in an invigorating anime series that asks more questions than it answers. Ever wondered how intertwined music and love can be? 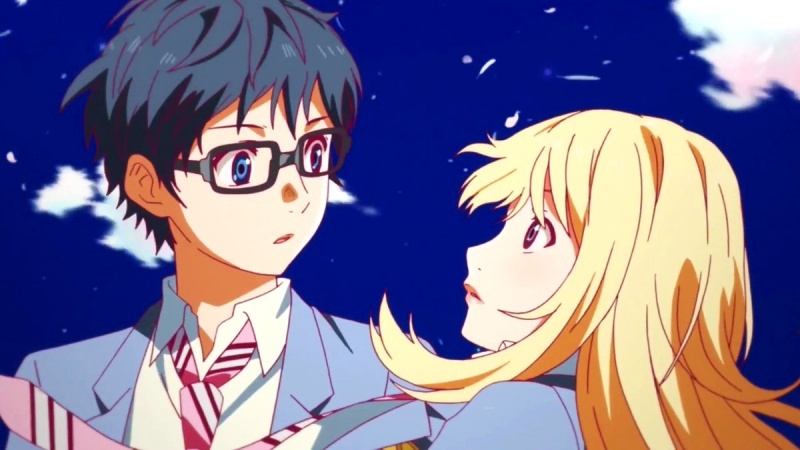 Well then Shigatsu wa Kimi no Uso, otherwise known as Your Lie in April, is certainly the anime for you! The show revolves around Kosei Arima, a child pianist prodigy who gives it up after a tragic incident. Feeling that music and color have no more place in his life, he’s not prepared for how topsy-turvy his life turns upon the entry of Kaori Miyazono, a manic talented violinist who has little place for discipline in her life. Together, the two inspire each other to become better versions of themselves and prolific musicians in this story of complicated feelings, situational mix-ups, jealousies, rivalries and lots and lots of music. Feel free to give this show the binge treatment if classical symphonies and some good tunes are right up your alley, because Your Lie in April serves you that in spades. 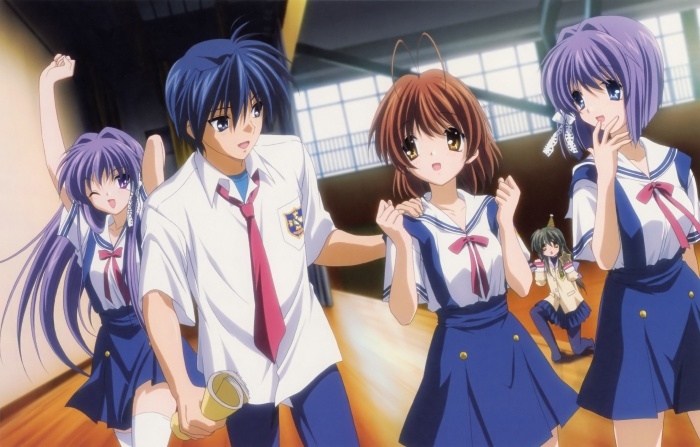 Carrying forward the same acclaimed story and characters from the slice-of-life show Clannad, Clannad: After Story focuses on the life of protagonist Tomoya Okazaki after he graduates from high school. While the same kooky characters, like the ever chirpy and lovable Nagisa Furukawa, remain, the true meaning of family and growing-up become part of the narrative. While still maintaining the dysfunctional appeal of the original, After Story sheds more light on how becoming an adult and accepting change just become a part of life, whether we like it or not. 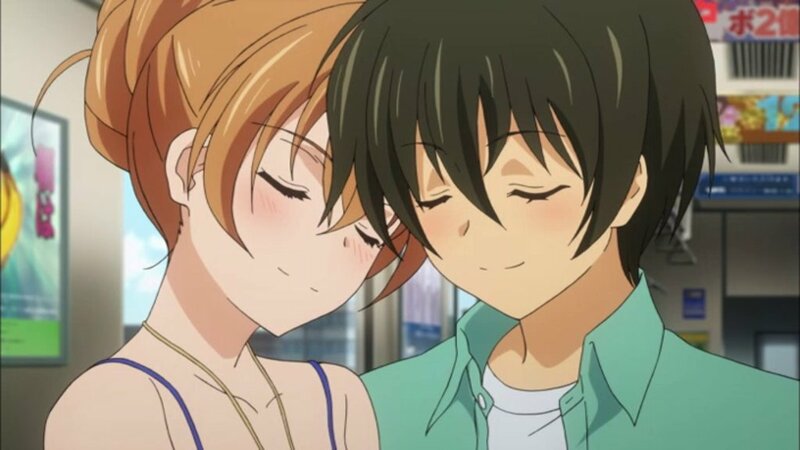 Emotional roller-coasters keep the series on a high, as Tomoya and Nagisa navigate the trials and tribulations of employment, family, the Illusionary World and the gloom of winter. It’s heart-warming, resonant and inspiring. But hey, what’s Clannad without a little bit of magic thrown in there? 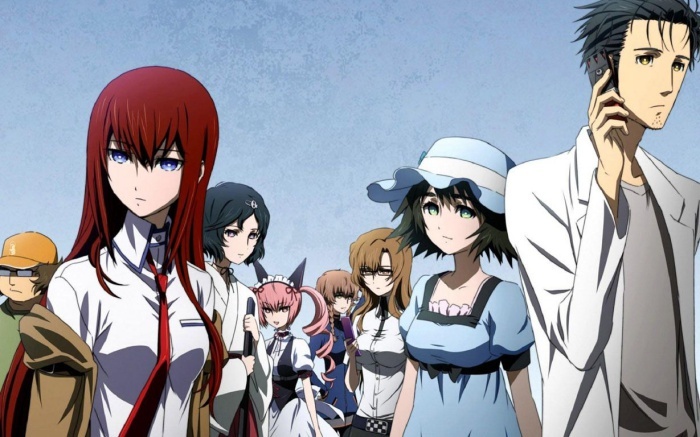 Steins; Gate is one of a kind sad anime series that you can not miss out on if you love shows that include time travel. Although this anime has a bit of a slow pace when it comes to story it really becomes worth it as you get deeper into the story. If I was to describe this, I would say that it’s a tragic romance anime with time travel as it’s the main premise. The characters, all have unique personalities and you grow to love them as the story goes on. The story starts when Okabe and his roommates accidentally create a time-traveling phone microwave. They can use the phone microwave to send emails back in time and prevent certain things from happening. However, they then realize that messing with the timelines has its own consequences and they have to face them to return everything back to normal. The series follows the story of two brothers Edward and Alphonse Elric. The last time they saw their father Hohenhelm, an exceptional alchemist was when they were very young. Since then, it was their mother, Trisha Elric who raised them. Right from a young age, the boys showed an affinity for alchemy. When their mother dies of illness, the boys got under the care of their best friend Winry Rockbell and her grandmother Pinako. Traveling all over the world, Edward and Alphonse Elric kept advancing their alchemy skills through training. When they finally reach home, they decide to bring their mother back to life. This forbidden act goes wrong horribly. While Edward loses his left leg, Alphonse’s body is completely lost. In a last-ditch attempt to keep his brother alive, Edward sacrifices his right arm to bring Alphonse’s soul back and houses it in a nearby suit of armor. 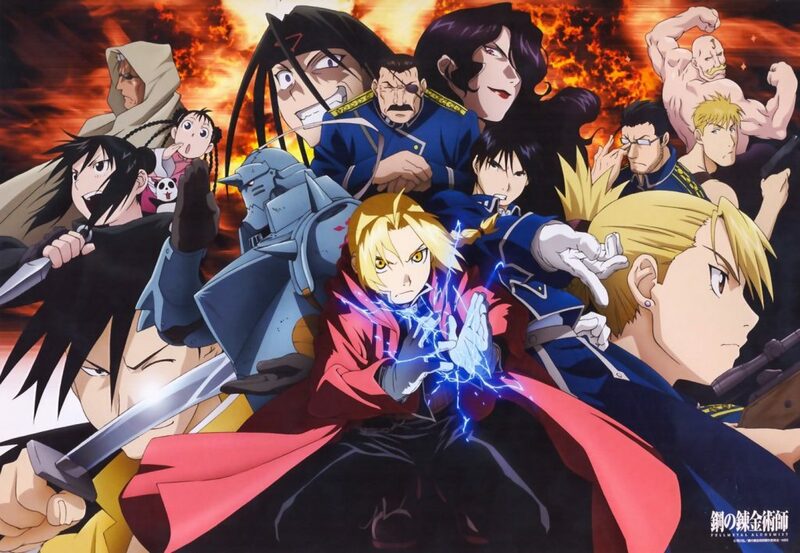 Now with a conviction to ‘not turn to their’ past, the brothers set out to the capital city to earn the title of “Fullmetal Alchemist” by the State Military. 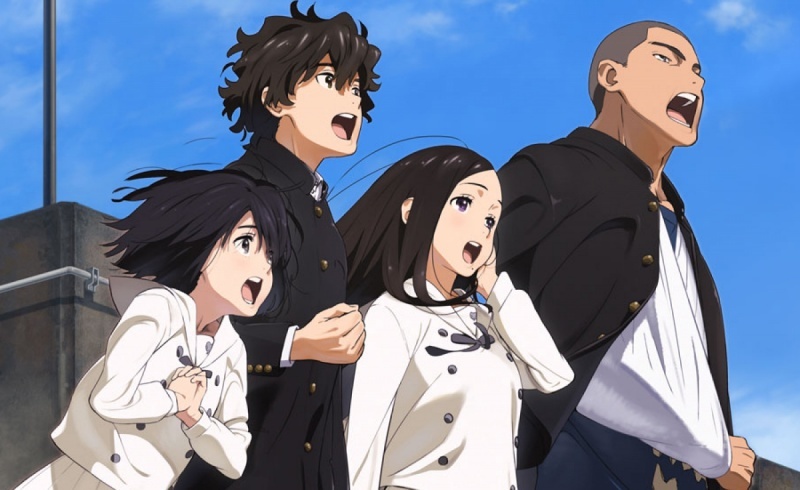 The sad anime series has enough tragic and sad moments, do check it out. With this, we have reached the end of the best sad anime list. Check out our best horror anime and best sports anime lists to find more anime that you can enjoy watching.